The Borussia Mönchengladbach players admitted fatigue was a factor in Matchday 12's gruelling 0-0 draw at home to promoted FC Ingolstadt 04. 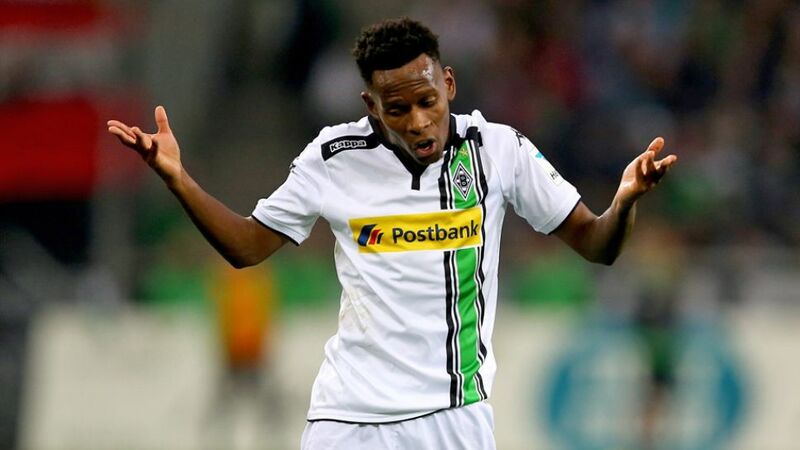 Ibrahima Traore (Gladbach midfielder): "It was really tough after an intense week. We made life hard for ourselves in the first half and didn't really get to grips with the opposition's pressing game. Unfortunately, it worked well for them and they took a point off us. It really annoys me that we didn't win the game because we really wanted to pick up three points before the international break." Alvaro Dominguez (Gladbach defender): "We weren't lively enough in the first half, that's why we had problems against such an aggressive side. We were much better after the break. We knew that Ingolstadt wouldn't be able to maintain the same intensity and tempo over 90 minutes and we came out for the second half with a spring in our step. In the end, we would have deserved to win, but unfortunately we couldn't score." Andre Schubert (Gladbach head coach): "We have to accept the draw. After the exertions of recent weeks, the team once again tried everything and put so much into it in the last few minutes with a man down. This time, though, against a team that set about disrupting the game from the start, it wasn't enough to win the game. We should have run a bit more in the first half, but I'm not going to blame the lads for that. It was the umpteenth game in just a few days - that's tough. We're just happy it's the international break and we can recharge a bit." Marvin Matip (Ingolstadt defender): "We wanted to press Gladbach from the beginning and push them high up the pitch. We did that well until our energy levels began to wane in the second half. It’s difficult to maintain that sort of intensity over the entire 90 minutes, so we sat a little deeper after half time. That was also pretty effective, although though they did create several chances towards the end of the game." Ralph Hasenhüttl (Ingolstadt head coach): "There's no doubt we deserved a point, in my book. We played brilliantly for 60 minutes. We hardly let Borussia out of their own half in the first half and also had chances to go in front. The team deserves respect for how they played away from home against a Champions League side for large periods of the game. Yet again, we showed that our promotion was no fluke and that we can cause a lot of teams in the Bundesliga problems."